Anyone who has been involved in the web hosting business knows how tough it can be to gain traction in this industry. There are plenty of big names involved in this field. More importantly, people are very selective with their choices when choosing a hosting partner. You simply can’t afford not to have an impressive site if you want to attract more customers. 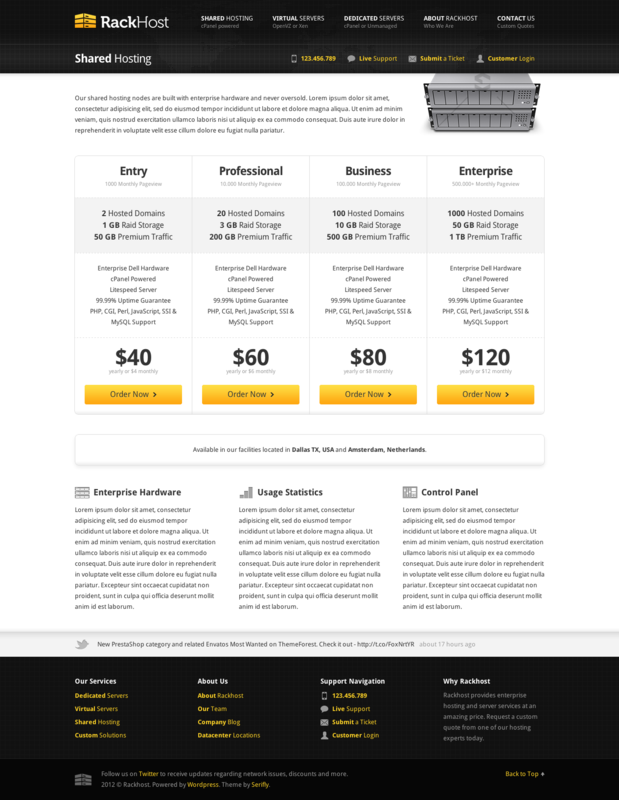 Rackhost Hosting theme can handle these types of sites. 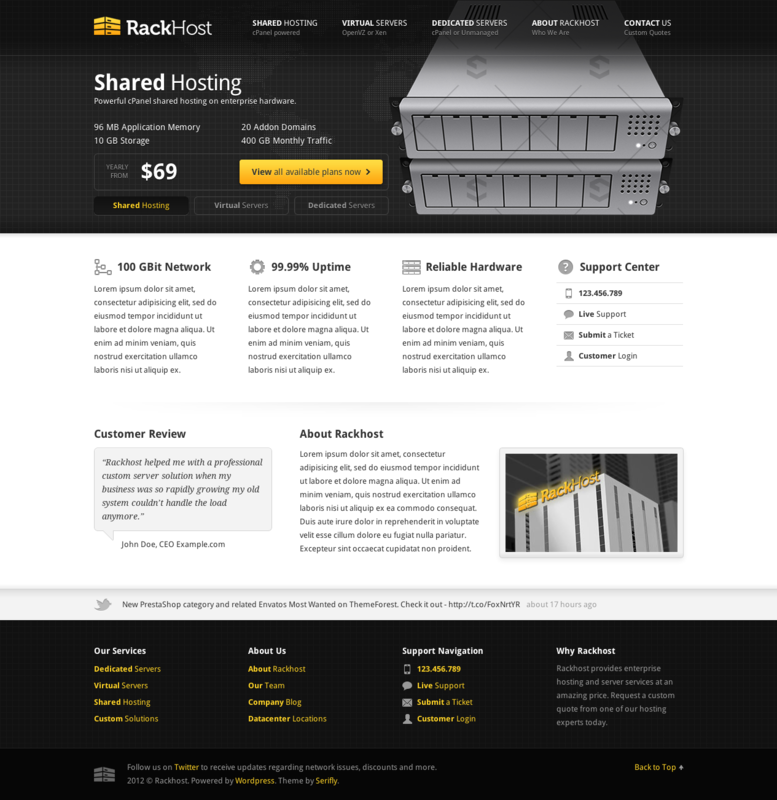 Rackhost is a simple and clean theme for hosting and server businesses. It has 4 different colors. It comes with the appropriate icons for these types of websites. The content slider comes handy when promoting your top services. You can customize this template using its Options Panel. Custom shortcodes are also included. Rackhost Hosting is coded in HTML5 and CSS3. It supports Google Web Fonts too. If you plan to give your hosting site a makeover, this theme is worth checking out.